We had a pretty busy day today! First, today is St. Nicholas Day. Teaching at a Catholic school, I feel pretty confident in celebrating this. Our religion book had me talking about St. Nicholas last week, so I threw it out there that December 6th was the official day. And that we should put our shoes out and see if St. Nicholas comes to see us!!!! Well, that was last week. Today, when the kids came skipping in the room, they said, "Can we put our shoes out in the hallway???" And I was like, "OH NO!" Totally forgot to get stuff for them. I really need to keep candy bags in my desk!! But, no worries. My wonderful friend Stacy who teaches 3rd/4th grade came to the rescue during math stations! The purple shoe is mine... they made me put mine out too, haha!! They totally did not see through this, yeah! 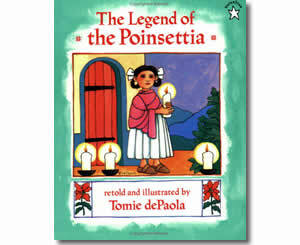 Today I also read Tomie dePaola's The Legend of the Poinsettia. Aaaaand lastly, we are studying communities in Social Studies right now. They've had a pretty tough time remembering which type of community is which, you know, urban, suburban, and rural. I did a quick Google Reader search for anything to help us, and I found this great foldable idea at Keeping Up With Class! Even though it legit took me 15 minutes to figure out how to fold these little books... the kids ended up loving them. I hope we can review them over and over and finally master these important vocab words! Tomorrow I am SUPER excited to do our December math quilt that I got from Reagan at Tunstall's Teaching Tidbits!!!! Our entire afternoon (which is when we normally have math) is being taken over by our Christmas music program practice.... so I will squeeze this into the morning!!! Party time! Love those stain glass projects!!!! And these shoes -- too cute! aaahhh!!!! I am so excited that you are doing the quilt!!!! We put on Christmas music and it was such a nice way to end our day. Just to let ya know the December quilt is a little challenging because they have to do three corner folds to get the right size for the little green and whites. I modeled it many times. Then I had to help a couple students. The trick is the match up the corners and crease it hard for a cutting line. I hope you take pictures I would love to see how it goes!!! I love the stain glass too. I am stealing that one. I have only let them color that in the past, but this year I am going to go all out!!! Thanks for the idea!